5 blockchain applications unrelated to bitcoinsteemCreated with Sketch. Now that the bitcoin bubble is taking on greater proportions than ever before, we dare to forget that blockchain technology itself is much more than a hype. We are investigating a handful of practical applications. Bitcoin as a digital currency is a failed project. You must be crazy to pay something in bitcoin when the currency's price may have risen by more than 1,000 euros a day later. Moreover, bitcoin is inherently appallingly inefficient: processing transactions today costs more energy than the total consumption of an average country. The chance that bitcoin will one day turn out to be a practical alternative to real money becomes smaller as the value of the currency increases. Still, the blockchain technology behind it has a lot of potential. We ignore bitcoin for a moment, and investigate five blockplate applications that are not subject to the cryptocurrency bubble. 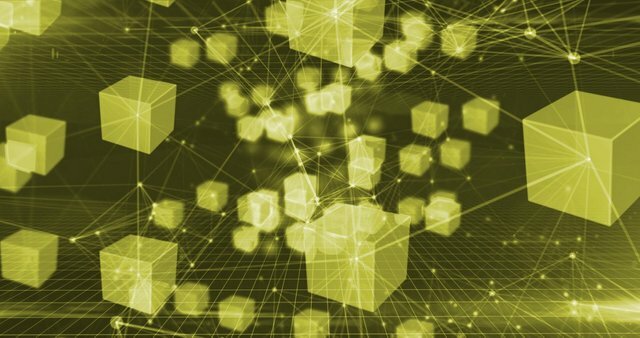 Some run on specially designed blockchains for the occasion, while others use existing blockchain networks shared by developers. Ethereum, on which everyone can build distributed apps (dapps) is the best-known example. Basing a currency on blockchain may not be a good idea, but that does not mean that blockchain technology is irrelevant to the financial sector. Blockchain is not going to replace banks, but will most likely modernise the way they work. Initially, international payments can benefit from the implementation of blockchain technology. Earlier this year, IBM launched a blockchain network with exactly that function. The network is already operational in Oceania, some South Asian islands and the United Kingdom. The technology addresses the limitations of payments with different small currencies. With the existing system it takes days or sometimes even weeks to get money from one small country to another. In addition, the transaction passes through several official bodies, all of which have to make their say, which increases the risk of errors. By keeping such payments of existing money in a blockchain specially developed for this purpose, a farmer in Samoa can sell his harvest to a trader in Indonesia without too much difficulty, with the certainty that the right payment reaches the right person at the right time. Blockchain is a digitally distributed but secure logbook ideal for the logistics sector. Today, international transportation is subject to mountains administration. A container that leaves China and then arrives via an African port in Belgium is inspected by various authorities, and a lot of documents and stamps are in the pipeline. This system slows down the whole process and is also susceptible to errors and corruption. Rederij Maersk is therefore working on its own blockchain on which a kind of digital passport for containers is kept. Once again, IBM is a partner of service. An average container passes 30 people, who all check the existing documents and add their own documents. By means of a digital block chainadminstration, every authorised official is automatically sure that all data concerning the container is authentic. With the push of a button, he can then add his own digital documents to the chain. This is not only safer and faster, it is also much more transparent. In order to banish paper completely from the logistic chain, every port in which Maersk containers pass through has to participate in the blockchain, as a result of which a full implementation of the system will take several years to complete. At our site, the port of Antwerp is working on its own blockchain-based system to simplify and secure the collection of containers. It also aims to administratively trace the container during its journey. Moreover, it is becoming more difficult for drug couriers, for example, to secretly pick up a container themselves by means of bribery by truck. If you buy a house today, there will be a notary. The latter must draw up the title deed. In this deed it is undeniably stated who owns the residence so that you can sleep on two ears. The fact that this notary requires a small fortune for the service cannot be ignored today. However, a blockchain run by the government can keep records with the same indisputability as a notarial deed. What is in the chain cannot be changed. A title deed can therefore just as well be kept in a notarial blockchain. The application can buy, sell, rent or other actions where today even a notary is coming to look more democratic. In Sweden, the company ChromaWay works with several banks and competent official agencies to digitise house sales via blockchain. The project is currently in a pilot phase in which the technology, which runs on its own blockchain, is evaluated from a technological, but also legal, point of view. Unfortunately, the government does not yet look at the possibilities of a blockchain on property registration. Know Your Customer (KYC) is a process whereby companies or organisations can verify the identity of a customer. This is important for banks, for example, who need to know who they are opening a bank account for. KYC-chain is a start-up that wants to simplify and standardize the underlying system for the KYC procedure via blockchain. KYC-chain is developing its technology for this purpose on the Ethereum network. Ethereum is a public blockchain in which everyone can develop applications. After all, a blockchain only works if enough people participate, which makes it difficult to develop an application as a start-up. Ethereum responds to this because it is already a huge network, so you can use the full power of blockchain technology from the very first moment. A distributed system with identity management allows governments and financial organisations to quickly check whether a customer's identity data is correct. The chain is further secured, so that only entities that need access will get it. Moreover, the system makes it easy to show only the relevant information to those who ask for it. The extent to which KYC-chain will break through depends on the bodies that want to embrace the technology. The application is nevertheless a good example of blockchain on the Ethereum network. Eth-tweet is a twitter copy running on Ethereum. Tweets are encrypted in the Ethereum network via the application and are readable by anyone who participates in the microblogging service. The decentralised character of the network means that the tweets are not distributed via a central server. Those who have the app can post and/or read things. This makes any kind of censorship impossible. After all, there is no central authority whatsoever to control the network. The Internet wouldn't be the internet without a ridiculous cat-related blockhole application. Once again, Ethereum is the network of service providers. On top of that network, a small business built a game based on cats: CryptoKitties. With Ethers (the' tokens' that drive the Ethereum network) you can buy digital cats. They are unique and your property forever. After all, the information about the cat is embedded in the blockchain network as soon as you buy it. According to the makers, all cats are visually unique. You can put several cats together to grow new ones, which you can sell again. Does CryptoKitties have any use? Absolutely not. The distributed application illustrates how diverse the applications you can build on a blockchain network can be. Blockchain technology is of course still in its infancy. Large technology companies such as IBM, Microsoft and Intel are tinkering with blockchain frameworks while software farmers are looking for the advantages of blockchain in their specific industry. You don't need too much imagination to see how a blockchain can form the backbone of an automated accounting process, or how intellectual property can be encrypted in a copyright chain. The blockchain is likely to become one of the most important technologies of the near future. We will start to see exactly how big the impact will be in the years to come. Wow! I never thought about any of that. I can see how the shipping system would make things easier. Your post also makes it easier to explain the usefulness of blockchain to those who are still learning. Indeed! Blockchain with currency, not that exciting. Blockchains for a wide range of other current and future applications are!